* prices in PLN, per run for whole group European city, a center of culture, science, art and business – Wroclaw, which is the capital of Dolny Śląsk surprises tourists with the variety of attraction that the city has to offer. Many international companies operate here and there is a great divisions of large corporations. Therefore, every year Wroclaw brings a lot of people – for tourism, recreation, and purely business. Being in Wroclaw it is worth visiting Old Market, having dinner at one of the local restaurants featuring Polish and foreign cuisine, as well as visiting Wroclaw Zoo, City Hall, the Ostrów Tumski. Going from Krakow to Wroclaw, you can use the service of the national private transfer, which is offered by our company BeKrakow. We have many years of experience in transportation. We provide professional car service for corporate customers and private individuals. We can arrange your private transfer from Cracow to Wroclaw and return, so you will not have to worry how to go to Wroclaw from Krakow. Our experienced driver will take you to a designated place in time. In our company we use significant high performance vehicles – luxury, reliable, providing our customers with comfort even during long journeys such as the Krakow-Wroclaw. Getting from Wroclaw to Kracow also you can book a private taxi from BeKrakow. Our offer includes the door-to-door services, which means that the taxi drop you at any desired location, and the driver will pick you up from a indicated convenient location. Selecting transfer from Krakow to Wroclaw and return you can be sure it’s safe and rapidly you will get to the destination. During the time of the private transfer from Krakow Balice airport to Wroclaw you can relax, sleep, or read, without having to constantly monitor the way in navigation or map. Our drivers know very well how to get to Wroclaw from Krakow. You can trust their knowledge and high skills. Are you interested in more specific information about the possibilities of organizing transfer from Krakow to Wroclaw by our company BeKrakow? We encourage you to contact us by phone and e-mail! Book your private taxi from Krakow to Wroclaw right now! You do not have to worry about how to get out of the arrivals from Krakow Balice airport to the bus station or train station, where you can catch transport to Wroclaw. No need to rent a car or ask family or friends for help. 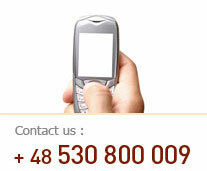 You can use the service door-to-door offered by BeKrakow. Our luxury chauffeur at the appointed time will show up at the Krakow Balice airport terminal, where after packing the client’s luggage will travel from Krakow to Wroclaw. Taxi drop you a hotel in Wroclaw or other destination you choose. Book your private taxi from Krakow to Wroclaw right now! What is the distance from Krakow to Wroclaw? Distance from Cracow to Wroclaw is 280 km. If you want to find the bestway to Wroclaw from Krakow, take advantage of our private transfer services at BeKrakow. You do not have to plan the route from Krakow Balice airport to Wrocław. Our driver will do it for you. The road leds through Katowice and Opole. What is transfer time in the way from Cracow to Wroclaw? By using private taxi from Cracow to Wroclaw at BeKrakow, you arrive at the designated place in 3.5 hours. This is the optimum time to travel this route, as long as the driver does not encounter traffic jams, road works, accidents and other obstacles. The total cost of a taxi from Krakow to Wroclaw airport and return you will find on the left side of the table. This amount is the total cost incurred by the customer and includes taxi fare, the cost of gasoline, air conditioning, insurance and comprehensive service luggage. During travel on the route from Krakow to Wroclaw, we can arrange for you an optional trip. We recommend visiting Auschwitz. Oswiecim (Auschwitz) is a city located within a short distance from Krakow, Malopolska province. It is known primarily from the fact that during the Second World War, there was a German concentration camp and extermination center. Currently in the area, there is Auschwitz-Birkenau, intended to visit. Enjoy the convenience of traveling with BeKrakow and our services. Book transfer from Krakow to Wroclaw right now!